After a decade of contending with inversions and particulates, Utah has a new — or at least another — air quality nemesis. Several Utah counties have violated the federal standard for ozone established in 2015, according to a late December letter from the Environmental Protection Agency to Utah Gov. Gary Herbert. The letter indicates the EPA intends to take action that would require state leaders to address the unhealthy air conditions. Ozone is an invisible, odorless gas that can irritate or even irreversibly damage the lungs. Based on a review of 2014-2016 air quality data, the EPA found Salt Lake and Davis counties, as well as parts of Weber, Tooele, Utah, Uintah and Duchesne counties, periodically have more ozone in the air than is considered safe, or else contribute to the accumulation of ozone in nearby communities. Consequently, the letter says, the EPA intends to declare “nonattainment areas” in all seven counties. 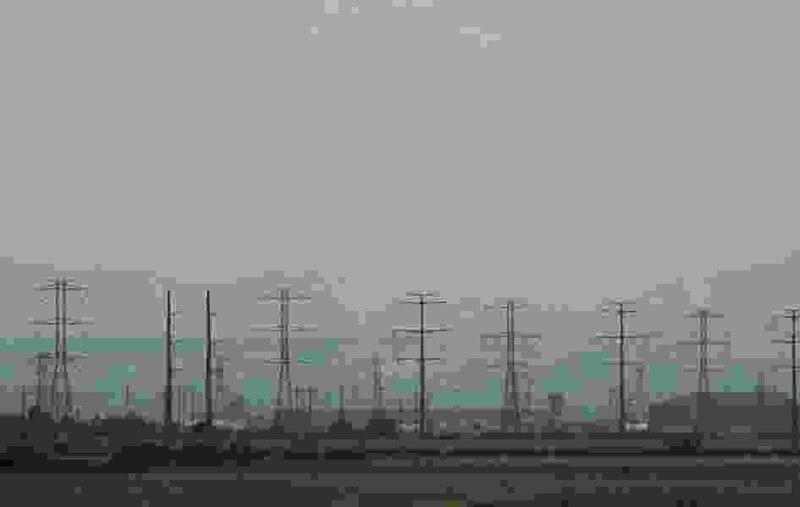 The EPA designates nonattainment areas to mark regions that fail to maintain air quality standards, and the label comes with a series of deadlines for actions from state regulators. Utah has expected these findings for some months now, said Bryce Bird, director of the Utah Division of Air Quality. “We knew going into this new standard that we had areas of the state that would not meet the new standards,” Bird said. Utah officials will have until the end of February to respond to the EPA’s ozone findings. Once the EPA’s conclusions are officially posted, the federal agency will conduct its own month-long public comment period. After that, the EPA is expected to finalize its ruling, and determine how much time Utah will have to address the ozone problem, sometime in the spring. The EPA has asked to see more recent air-monitoring data before finalizing its decision, but the 2017 numbers are unlikely to help Utah’s case. Last year was one of the worst years for ozone the state has seen in recent history, said Bo Call, who oversees such data for the state Division of Air Quality. Though the numbers are still not final, Call said, current data suggest Salt Lake City violated the new ozone standard 20 times in the summer of 2017. In 2015, the EPA decided to lower the standard for the amount of ozone permissible at ground level, where humans might be exposed to it, from 75 parts per billion to 70 parts per billion. EPA officials said at the time they decided to tighten the standard in light of growing scientific evidence that the gas was more harmful than previously thought. Unlike many pollutants, ozone forms when heat and sunlight cause other chemicals, such as those emitted by cars, to react with one another. That makes ozone similar to small particulate pollution, the class of air pollutant most Utahns associate with the Wasatch Front’s infamous inversions. During inversions, which take place most often in the winter, small particulates are though to form out of the same kinds of chemicals that create ozone in summer. Utah has failed to meet the EPA’s standards for particulate pollution since 2006, so the EPA is requiring the state to come up with a new plan for reducing it. And many of the measures Utah plans to put in place to tackle particulate pollution should also help decrease ozone, Bird said. For example, the state has asked large employers to let their employees to work from home on days when either ozone or particulate pollution approach unhealthy levels. Although there are currently no penalties for businesses that do not participate, the idea is to reduce the number of cars on Utah’s roads. Most of the state’s oil refineries have committed to Herbert that they will begin producing cleaner gasoline to sell in Utah in order to reduce vehicle emissions. For the most part, according to Monica Morales, a regional air quality program director for the EPA, cars remain the predominant source of air emissions that produce both ozone and small particulates. She agreed with Bird that Utah’s efforts to combat particulates should also reduce ozone levels, she said. The EPA’s late December findings on ozone are in line with recommendations made by the state in 2016, when Herbert sent the EPA a letter indicating that the seven Utah counties in question did not appear to meet the new federal ozone standard. The EPA’s recent findings match Herbert’s 2016 conclusions regarding five of those counties. However, the EPA found that the portion of the Uinta Basin that violated the ozone standard was slightly larger in size than initially suggested by the state. According to Morales, the EPA’s designation of a wider swath of the Uinta Basin was based on data from an air quality monitor on tribal lands, where the state didn’t have jurisdiction. Unlike the Wasatch Front, which typically struggles with ozone in the summer, the pollutant forms in the Uinta Basin in winter time as a result of a rare phenomenon thought to be linked to emissions from the oil and gas industry. This week, the state Air Quality Board approved a new set of regulations that would require new oil and gas operations in the Uinta Basin to employ the latest emissions-control technologies.